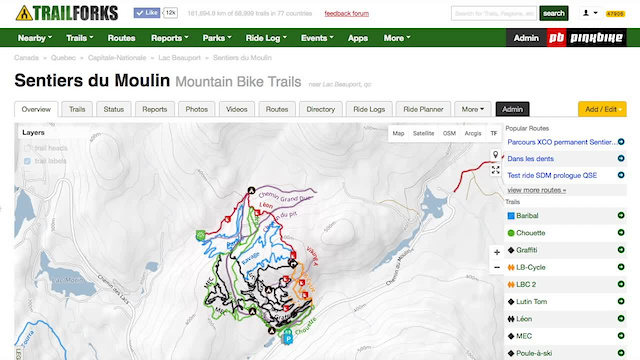 Trailforks supports adding winter, snow seasonal trails. 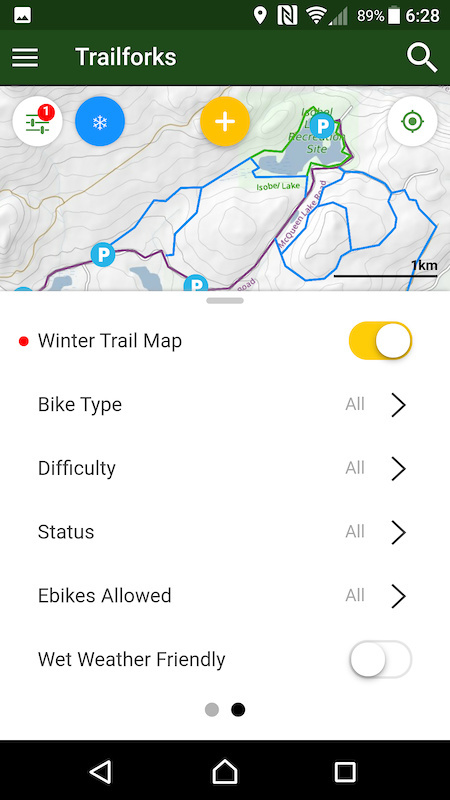 Because winter trails often only exist during winter season, overlap summer trails or use terrain only accessible in the winter, these trails are NOT shown on the normal/default map. Regions that contain winter trails will have a winter trails layer option on the map, this will toggle to show the winter map for the region. The winter map only shows trails designated as winter only or winter & summer. A winter only trail only is displayed on the winter map. A winter & summer trail is sown on both the normal map and the winter map. An unspecified trail only shows on the normal map. Press the 'map options' button in the top left of the map, then swipe the map options panel to the left to view the 2nd panel of options. 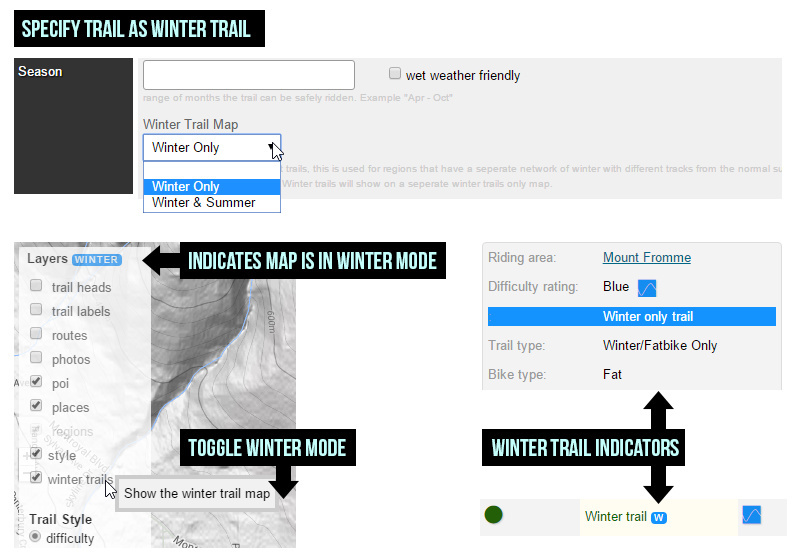 Here you will find a toggle to enable the winter trail map. When the winter trail map is enabled you will see a snowflake icon at the top of the map.